We provide long-wear, durable and heavy duty ID badge holders with low cost to hold your photo ID or name badges. 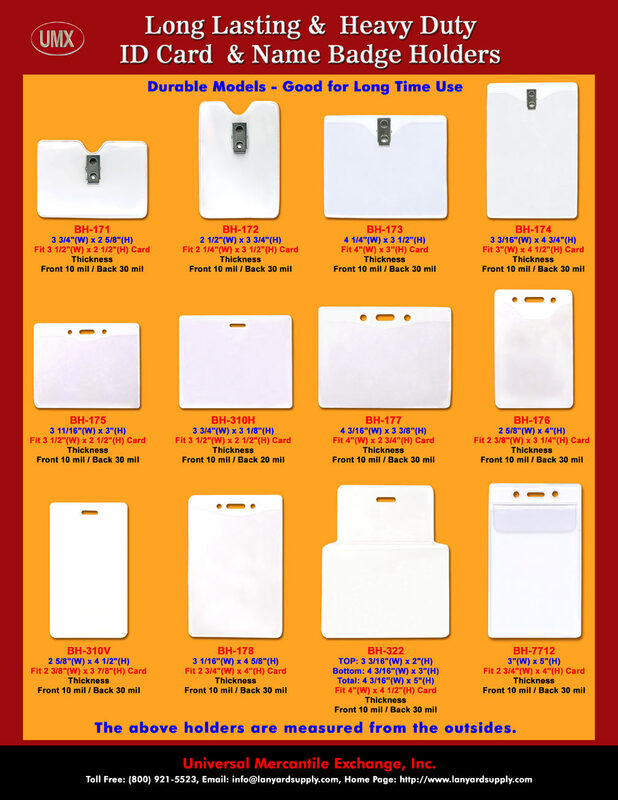 These long-time-use clear plastic vinyl badge holders and name badge holders are designed for school, corporate, business, government and military etc..
With custom selections of holders with swivel badge clips, or badge holders with holes for badge holder straps, neck chain lanyards, elastic cord lanyards, plastic tube lanyards or swivel hooks. With option of logo imprinting to promote your company image too. Any custom-design or custom-size ID holders, welcome.